While this might bring back memories of youth clubs and holiday camps, table tennis – or ping pong – has recently bounced its way onto the retro scene. 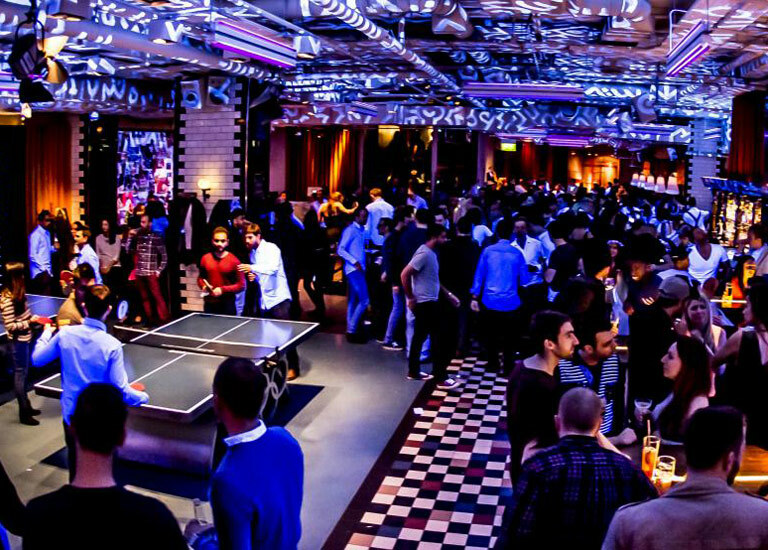 Plenty of cool bars and cafes now have a table or two and in most big cities you’ll find ping pong club nights, with DJs and cheap entry to light-hearted tournaments. A great activity for two, whether played with a competitive spirit, or just for fun. Check out Bounce if you’re in London. This is a craze that’s sweeping the country at the moment: locked in a themed room for an hour, you solve clues and puzzles to try and beat the clock and ‘escape’. While some games need quite a few players (ideal for groups of friends or double/triple dates), there are plenty that are suitable for couples. The hour flies by and it’s great for getting you working as a team. Consider learning a new skill together; in an arts salon, cookery school or at a pub crafting session. There’s a wide and ever-increasing array of choices, with some options that’ll be unique to your local area and depending what you choose, you could enrol in a regular course, a drop in, or a one-off workshop. If your date appreciates crafts, but the prospect of getting crafty fills you with dread, check out a Makers Market, where you can explore and buy all kinds of interesting and bespoke bits and pieces. For live performance that’s edgy, raw and indie, head along to the kind of small hipster venues, pub basements and arts festivals that host improv (sketch or game based improvisation – often comedy) and spoken word (rhythmic poetry ). It’ll make for some unpredictable, alternative and fresh entertainment and if you really like it, there are plenty of opportunities out there to get involved too. A foodie trend that’s predicted to be big this year is brunch with a twist: Indian, Vietnamese, Russian and Italian brunches are all increasing in popularity in New York. You can investigate what’s on offer in nearby world food cafes, or if that isn’t feasible, search the net for inspiration and create a taste sensation for your date! Not something for novices to attempt alone, but there are lots of guided foraging walks happening this spring and summer – a great way to get up close to nature with fresh air, exercise and some (literally) fruitful rewards. If this all seems a little pedestrian and you want easy access to more of an adrenaline rush, then a trampoline park with a street vibe will offer a funky setting for an active date. Suitable for all levels of skill, you can dive into a foam bit, play trampoline basketball, or just enjoy the flying feeling that comes with bouncing into the air – and it’s a great workout. Of course, the most important part of a date is the company, so whatever you do and whoever you’re with, have fun and happy dating. Photo used by permission of Bounce Ping Pong.